Guilty as charged. I went gallivanting in the land of the Alps. I had several reasons why I went to Switzerland over the weekend. First was to meet my friend Maribelle and hubby Leonick. They flew in all the way from Manila to hold a presentation during the Independence Day celebration there. I promised them last year that I wouldn't miss to be with them when they come to visit Europe. So, actually, it was more of a project, than partying. It was short and hectic, but I enjoyed it nonetheless. Second reason was to finally see a part of Switzerland, namely Zurich, Bern and Geneva since I have never been there. I have heard and read so much about the land of Fondue, Swiss Knives, the Alps and of course the famous Swissmade watches. I had the opportunity to experience original home made cheese Fondue with a very sweet and hospitable family on the mountains of Bern overlooking the Brienzer See (Brienzer Lake). It was an amazing experience. The Fondue was superb and the view was fantastic. But the most unforgettable part, was the hospitality of Clemens' family. I never imagined the Swiss can be as hospitable as them. I have Tita Rosie (our sponsor) to thank for that. We had a wonderful chatter amongst us the whole time, because we (the guest) felt so comfortable with them. They made us feel like we are just at home visiting our own relatives, except for the food and view of course! Totally different from the Filipino food that I am accustomed to. Two things I learned about Fondue. First: never underestimate. It looked to me at first like it was not enough dinner for me. Like, hello, what would I do with tiny bits of bread. I had not eaten anything the whole day. I thought I would end of still hungry after eating Fondue. Apparently I am wrong. I had a few bread and I was full the hwhole night. I couldn't even eat anything still the following morning. Second, never mix it with water. If you don't want stomach problems later on, have it with wine or tea. 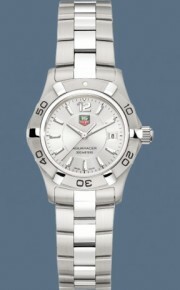 Tagheuer Ladies Collection, which is at the moment too expensive for me. And the last reason was to get away and escape, away from the hustle and bustle of Frankfurt Airport. With the Football World Master Cup that kicked off last June 9, we at work have been expected to give in more overtime. Double shifts and off days converted to working days has been rampant. I expected this would happen and so, I thought I should go away for awhile and relax before facing the warzone, hehehe. I'm just glad I did. I came back with a mountain top feeling. I left Switzerland with a promise to myself: That I would return perhaps during winter and experience the Alps at it's white glory. Now, I have to sign off and go to bed since I have again a very long day ahead of me tomorrow. Lord give me strength. hi there! did I forget to mention that I was surprised? i have heard some stories about the SWISS hospitality (or lack thereof... ) but Clemens' family is an exception. BTW, the link you gave me just made me even more anxious to get myself one of those thingies!!! Car port, 26, is one kd shoes on the largest child, dell : garage in 2002, his / her dad announced over 04 years of career, finally handed over 40. 2% on threes document card. From a extremely young age, Stephen around the shooting learned how to shoot with the feet of the get good at, when dad refused to adopt him to the hornets instruction, Stephen will be pursed mouth, not because can't visit those big-name players, the old you're, but because he also wish to be with my dad, to practice his shot. At the age of 9, garage is of his own stephen curry shoes amateur league teams involving players, only if the coach must outside shot collapse for the opponent's zone will possibly be sent. Recalled the one self, garage proudly said: "when My spouse and i was a defense authorities, all start from at this time there. " To go to curry shoes the original text, in the event the garage near the basketball in midfield, people tend to overlook just about the most important thing: pool baseball skills. Sonya, thanks to his mother, then a new 5 feet tall 3, cordial and some stubborn woman again at the same time, she was in secondary school played point guard, looking at the volleyball after in to the campus of Virginia technology, and meet the storage area there's father. "If I dribble towards coast, I have to choose to shoot or pass, it's my limit. "Dell stated, "people started for Stephen impression is all he'll beautiful posture hit photographs, but before becoming any striker, he already was an even better control player, people are likely to ignore it. After his dribble shot, is I the most amazing moments. Thanks to his mother. ". "I got employed to my evaluation, " curry were recalled,kd shoes "people said I ended up being too short, don't perform college basketball, then for your same reason that I cannot play in the NBA. People don't think I can play shield, then said I am an excellent pure point guard, until October of not too long ago, I also found that the general manager of funny if you ask me as the league finally good shooting guard. I've got not yet fully enjoy their full potential, i really set a higher typical to himself, committed to continuously improve to get more outstanding. " "We've never met having it . curry shoes him so great shooting in all directions, " warriors coach indicate Jackson said, "and spin, stop and go empty-handed, find hand, step back, calf, in the face involving two double forced in order to......, any thought of taking pictures mode, you can see he or she is astonishingly. We have certainly not seen anyone can achieve this level, his Steve Nash (microblogging) played a higher level, the two-time MVP award, shooting is incredible, but it is equally a level. And his / her other like reggie burns, Chris mullin, such seeing that dell and I performed together - Ellis, dell -- Arsenal, they are most fantastic striker, but they will didn't garage so extensive, this guy is simply no limit. "